If you’ve ever wondered what it was *really* like to play Barney the Dinosaur, look no further. The man behind the costume, 52-year-old David Joyner, has spilled all the details. Speaking to Business Insider, Joyner, who played the role of Barney for 10 years, shared all the details about what the experience of playing the giant purple dinosaur was like. Of course, many of our faves, like Demi Lovato and Selena Gomez, got their start on the beloved children’s show, which ran from 1991 to 2009. First of all, Joyner said that costume was actually pretty darn heavy. He also detailed that the costume’s head didn’t rotate, and that he could only partially see out of massive dinosaur head. In fact, when the mouth of the costume was closed you couldn’t see out of it at all. 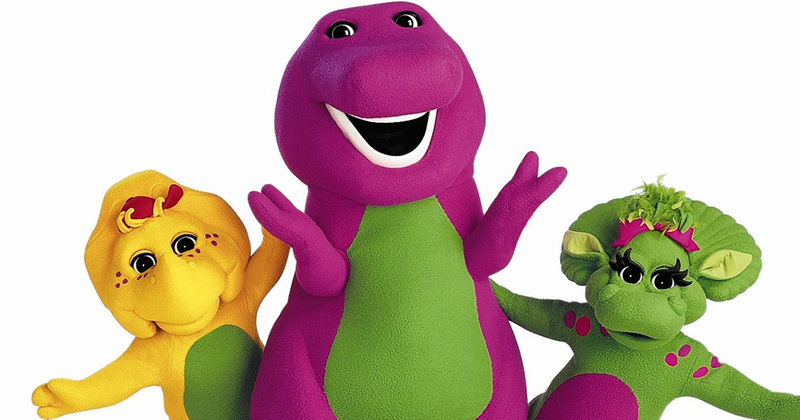 While Joyner might have been inside the costume, there was actually someone else voicing Barney throughout his tenure on the show. Joyner told Business Insider that he went on to move to L.A. and actually star in shows such as Shameless, That ’70s Show, and 24. However, he admitted, he still has a soft spot for that giant purple dinosaur.